Just want to recognize you folks who give your time and energies at the G.L. food pantry. I was deeply moved when I'd attended last month, by the generosity of food we left with. I was feeling full of gratitude upon leaving. Thankful for the kindness and helpfulness my husband and I received as we we're going through. Having my cup filled, then as we're walking out the door, we're stopped, only to be handed an envelope with $100 in it. I was crying as I walked out to my car. Just wanted to thank the generosity of a soul to have been mindful to do such an act. The cash meant so much, because it allowed us the dignity to use that precious money for the needs or whatever, of our CHOICE. So want THANK whomever was behind that thoughtful gift. It still brings me tears and thankful. My husband said, there's still good people left in this world. I say, AMEN. Your opinion matters. Leave A Review Or Edit This Listing for Green Lake Country Food Pantry. Must be a Green Lake County Resident and be able to provide proof of residence. We always need more information on our pantries. 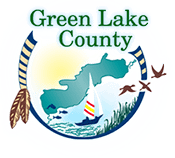 If you know of any details, volunteer information, website, hours or more description information about Green Lake Country Food Pantry please add a comment (below the map on this page), with information. We will then display this for all visitors on this page.